Our team worked with the Case Officer during the process to tweak the proposals to gain his support without compromising the viability of the scheme. We also faced objections from the Highways Officer here due to concerns over increased use of the narrow access drive. However, we explained that the new dwelling would result in only a 5% increase of use of the drive and as such didn’t meet the test for ‘severe’ impact set out in the NPPF. 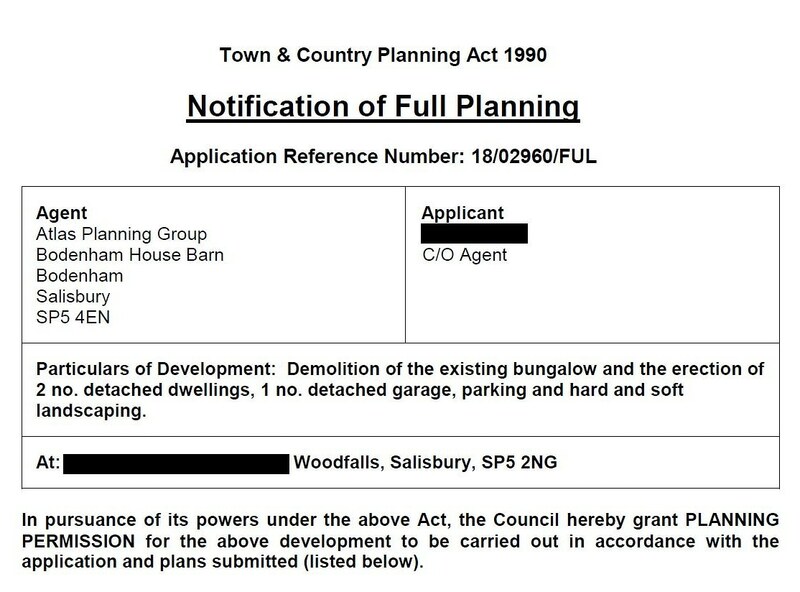 We further highlighted that planning permission had previously been granted for a new dwelling accessed via the same drive (but not yet built) and as such a highways based reason for refusal would not constitute consistent decision making. The Case Officer agreed, stating that in this case, the highways objections were not sufficient to prevent the delivery of housing.